Choose a fine-tuned Managed Hosting solution! From Web Hosting to VPS Hosting to Dedicated Server Hosting, you'll discover a wide range of Managed Hosting services bound to meet your specific needs. Each includes around the clock support from our Guru Crew experts. Each service also includes your option to host on our Turbo Servers featuring up to 20X faster page loads compared to competing Managed Hosting providers. You're going to love our 24/7/365 Guru Crew Support team! They're friendly, knowledgeable and here to help with all of your hosting questions. Best of all, they're the same team who will be managing your web hosting account! Throw in the fact that you will be hosted on our high performance SwiftServer platform and you're truly going to love your Managed Hosting service available at A2 Hosting. You can even choose to host on our Turbo Servers featuring up to 20X faster page loads compared to competing Managed Web Hosting solutions. At A2 Hosting, you get top notch speed and support. We're also the host you can depend on. Regardless of the service you choose, your site will be hosted on an ultra-reliable server backed by our 99.9% Uptime Commitment. Try any of our Managed Hosting services completely risk free with our Anytime Money Back Guarantee! You're going to love our solutions! One of the most common questions we are asked is "What happens if I outgrow my hosting service?" Just like when buying a house, you want to make sure you have room to grow. At A2 Hosting, you'll have room to grow. We offer multiple package options within each service level. Seamlessly upgrade to one of those services. Additionally you can upgrade from a Web Hosting account, to a Managed VPS Hosting account to a Managed Dedicated Server with ease. Our Smart System Notifier will contact our support team immediately informing them if any network or hardware issues have been found on your account or server. You get the benefit of our support team swooping in to resolve the issue likely before you noticed any difficulties. While our exclusive Smart System Notifier will keep our Support team in the loop into what is occurring on your server, we also want our customers to know what's going on as well. That's what makes the Notification Center such a powerful tool! Our Notification Center will send you an email whenever there is a specific server event. You will know whether there is an issue such a full filesystem, your server is experiencing a high load or a number of other events you may want to know about. Update which emails you want to receive or unsubscribe from right in your A2 Hosting control panel. Support is a key aspect of Managed Hosting solutions. Our goal is to offer you the fastest answers to all of your questions. With our Web Hosting and Managed VPS accounts, we offer a solution called Priority Support. Add this solution to your account and your questions will be sent to the top of our support queue. Users subscribing to this service will have their questions answered first. Trying to decide which of our Managed Hosting solutions you should choose? Our Dedicated Hosting solutions include free Priority Support service so you get even quicker response times to your questions. Moving a site from another hosting provider can be a stressful experience. 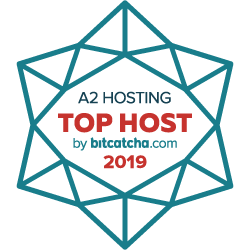 That shouldn't prevent you from moving to a host you're going to love (and you're going to love your Managed Web Hosting service from A2 Hosting). Just contact our 24/7/365 Guru Crew Support team for more information about how they can move their site to your Managed Server free of charge. Interested in one of our Managed Dedicated Server Hosting solutions? At A2 Hosting, you don't have to wait around for your server to be provisioned or setup. Each of our Dedicated Servers have already been setup and tested. They're just waiting for you to get started. Get started now and you'll be up and hosted on your server in 30-minutes or less! Try to order a pizza and have it delivered before you have access to your server. We bet we'll beat your delivery man! While not necessarily considered crucial to a Managed Hosting solution, each of the following are also included with our Dedicated Servers. For more complete control over your servers, we give you the ability to reboot and boot your server right from within the A2 Hosting customer portal. Our Web Hosting and Managed VPS Hosting account each offer plenty of power and resources. When you choose our Dedicated Server Hosting solutions, you do not share any resources with other users. You get the benefit of not being impacted by the activities of another customer on our Dedicated Server Hosting. Instead, the server is specifically yours.